The Cool S1 smartphone is packed with a 4070mAh battery and comes with Harman Kardon earphones. 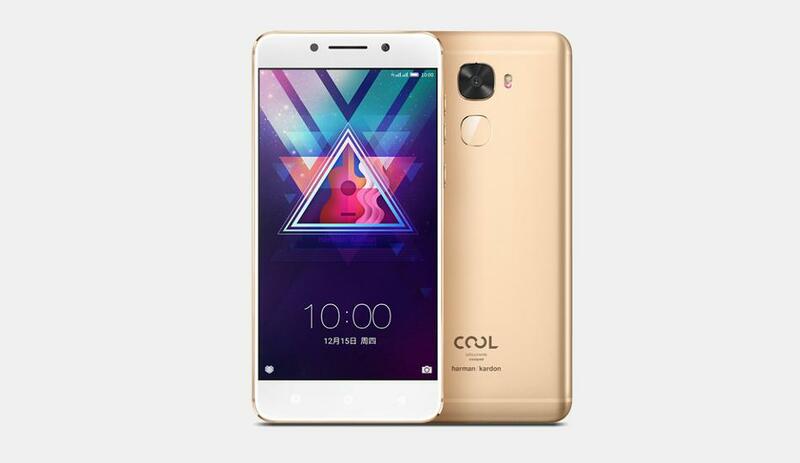 Coolpad and LeEco launched its new co-developed Cool series smartphone in China yesterday. The Cool S1 comes in two different variants 4GB of RAM with 64GB of internal storage, and a 6GB of RAM with 128GB of internal storage. The Cool S1 comes in Gold color. The Cool S1 features a 5.5-inch full HD display with a resolution of 1920×1080 pixels. This device is powered by a 2.35GHz quad-core Snapdragon 821 processor with a Adreno 530 GPU. The Cool S1 smartphone is running on Android 6.0.1 Marshmallow operating system with EUI 5.8 on top of it. This device also feature a fingerprint scanner on its back panel. The Cool S1 feature USB Type C port with Quick Charge 3.0 as well as 16mp rear camera and an 8mp front-facing camera. The device measures 151.4×74.7×7.5 mm and weighs at 168 grams.